Let us drop our anger. It clouds our vision. A PEACEFUL WAY brings understanding and trust. The path toward reconciliation begins now. These are spiritual and patriotic values. 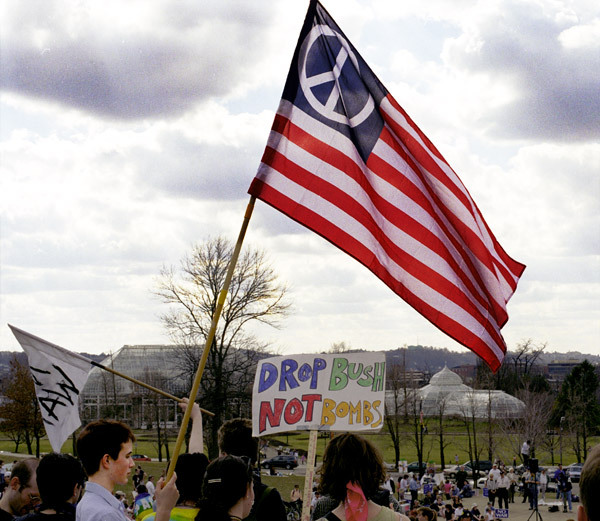 'Letting our Peace Flag Fly' at Schenley Park.